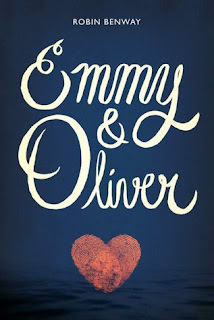 Emmy & Oliver is a beautiful story about true friendship, family, and learning how to become your own person. "Sometimes, the things people don't say are louder than the words that come out of their mouths." I really enjoyed this book. It made me smile, cry, and laugh. It's been awhile since I've found a contemporary that can make me feel all of those things, and this book was everything that I needed and more. When you take a look at this cover you immediately think it's going to be a sweet romantic story, but that is far from what it truly is. There was a lot going on in the story, but this book is really about true love - our love for our parents, friends, and ourselves. Our main characters are Emmy and Oliver, but we also get to know their parents and Emmy's best friends - Drew and Caroline. Everyone in this book has pain from this horrible thing that happened in their community, and when Oliver was kidnapped 10 years ago it changed everyone. When Oliver comes back into their lives it's clear that it's about time everyone finally deal with their feelings and try to move on from this huge thing that has defined who they are for the past 10 years. All of the emotions of these characters felt incredibly real, and they didn't magically get solved over night. It was hard for everyone to cope with Oliver coming back into their lives - especially Emmy, Drew, and Caroline who have this huge gap in between their friendship with Oliver. Each of them are dealing with personal issues, and yet they find a way to truly be there for one another. I absolutely loved the friendship between Emmy, Drew, and Caroline - their interactions flowed right off the page straight to my heart. Their friendship felt so real - they got mad at each other, they got annoyed, they had their own lives at times, but in the end their love for one another never dulled. It reminded me of an actual friendship between best friends. As for the romance in the story - I actually really enjoyed it, too. It wasn't cheesy and it never felt forced. Emmy was never portrayed as the girl next door who is beautiful yet thinks she's not, and Oliver was never the hottest guy in school or the new mysterious boy. Their romance felt real because it felt like it could be anyone, and I loved it. "Sometimes there just aren't enough words to fill the cracks in your heart." In the end, this story was centered around Emmy and how she and everyone around her learned how to finally move on with their lives. I enjoyed reading about her love for her parents even though they could be frustrating to her. I liked getting to know Emmy and see how she was able to truly grow up and be her own person. Overall, I loved this book. I really enjoyed Robin Benway's writing - she wrote some of the best dialogue that I have ever read between characters. Everyone had their own voice, and I really appreciated how the writing truly made me care for these characters. I would recommend this book to anyone who loves contemporaries! There is so much more to love about this book than the romance between Emmy and Oliver, even though their relationship is really cute. "It's your turn to leave and it's my turn to stay. So leave already."